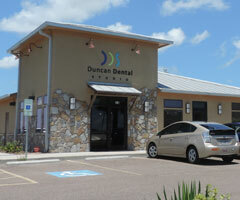 Do you have questions about your child’s dental care in Portland, Texas? If so, Dr. Duncan is happy to answer them with this frequently asked questions page! If you continue to have unanswered questions, please feel free to call Duncan Dental Studio and talk to your dentist today. What do I do if my child grinds his/her teeth? This is a common habit found in both children and adults, and it often occurs at night. If your child tends to grind his/her teeth, many dental problems can develop, and we ask that you bring your child into our office as soon as possible. With this habit, our dentists offer night guards, splints, and mouth guards that your child can wear to keep from grinding his/her teeth. How often should I bring my child in for checkups? Our dentists strongly recommend that you bring your child into our office for checkups every six months, beginning six months after the first tooth has grown into the mouth. Pulp therapy is also known as root canal therapy, which is generally needed when the pulp and nerve of the tooth is infected and decayed. If your child is experiencing tooth sensitivity to hot and cold temperatures and pressure, we ask that you bring him/her to our office as soon as possible. With this treatment, the tooth will be healed in no time. Our dentists encourage you to bring your child into our office for his/her first visit approximately six months after his/her first tooth erupts and no later than the child’s first birthday. When will by baby get teeth? Your baby’s teeth will first begin to grow during the second trimester of pregnancy, which is why it is so important for the mother to eat a healthy, nutritious diet. However, each individual is different, and we generally see tooth eruption in children when they are about 6 to 8 months old. Your child should have all of his/her baby teeth by the time they are 3 years old. Many people believe baby teeth are unnecessary and unimportant, but that is simply untrue. Baby teeth are meant to help your child eat, develop speech, and smile with confidence. 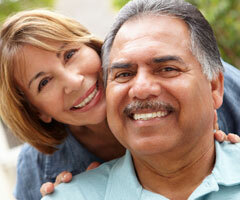 They are also guidelines for the permanent teeth that are waiting to grow into the mouth.